The De Luze 24th Generation Limited Edition Cognac is certainly something you don't see every day! 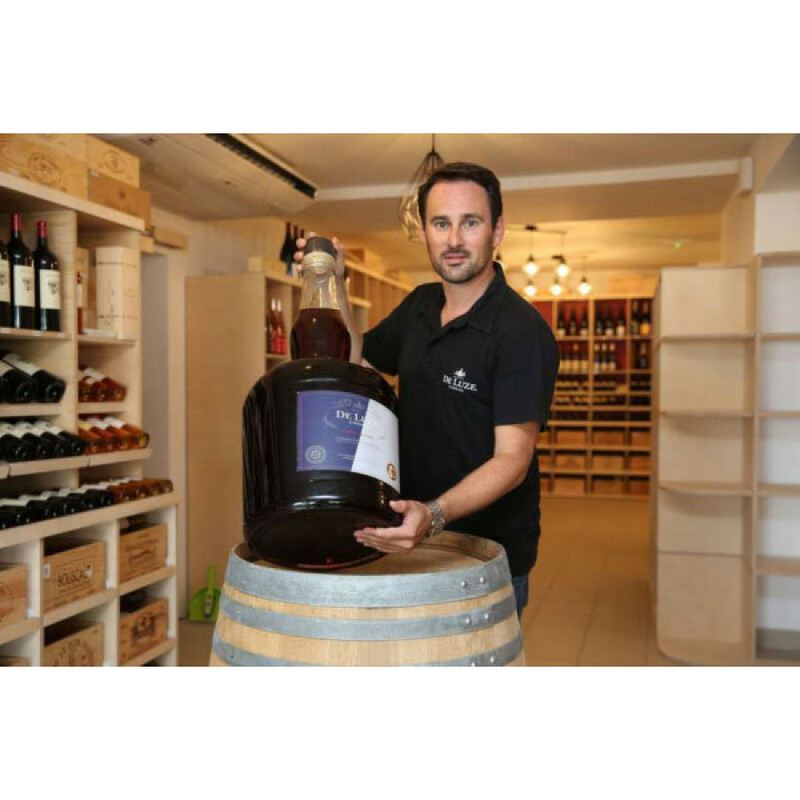 Created in celebration of the handing down of the company to the 24th generation of the family, this treasure contains 24 liters of Cognac in a 79 pound bottle - that's one heck of a bottle of Cognac! The blend is of a Naopleon quality, and the bottle itself has taken a year of work to be produced due to its size. It's being produced in a strictly limited edition of only 1,500, and will surely be something that will be of massive interest to collectors. The cognac house has a uniquely interesting history, with the origins of the company in New York! Two brothers set off to find success in the New World in the early 19th century. And they did. De Luze is still a successful business with 410 hectares of vineyards in the prime growing area of Cognac. Their philosophy is to create a natural cognac with an elegant and light taste and colour. No tasting review or notes on this cognac. Tasting review: Eye : Deep, old gold hue Nose : A treat for the ofalctory system, boasting rare aromas only found in the oldest of Cognacs Palate : Refreshingly sweet, with tangs of juicy apricot and soft fruit flesh. Rancio, of course, and a sublime, almost never-ending finish.